The Woolly Brew: Opal Schafpate IX in the shop! 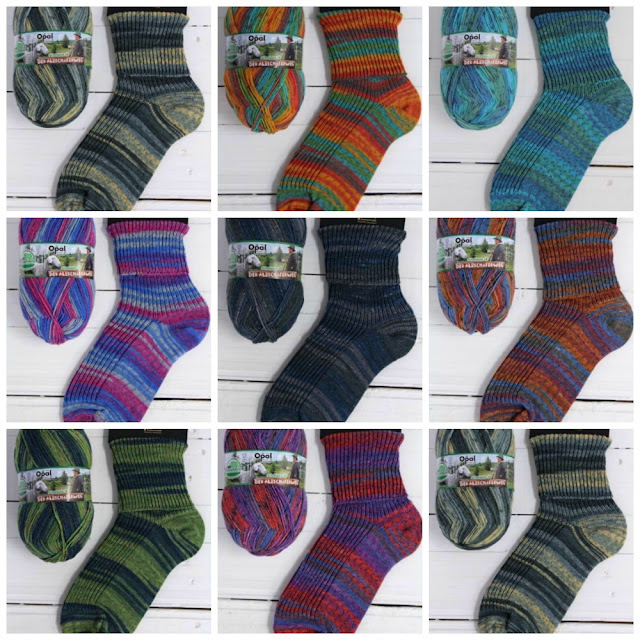 Opal Schafpate IX in the shop! Another new collection from Opal has arrived... Schafpate IX. A 4ply sock yarn is a versatile thing. You can do lots of different accessories, not just socks, and it's ideal for baby and kid garments (easy care and strong!). Leftovers look great when used together too.